What’s with all that forehead? Great white plains of forehead. His eyes are so deeply set that they’re hidden under eyebrow shadow. Which makes a perfect upside-down V that doesn’t meet his lip. And, are his forearms wet? 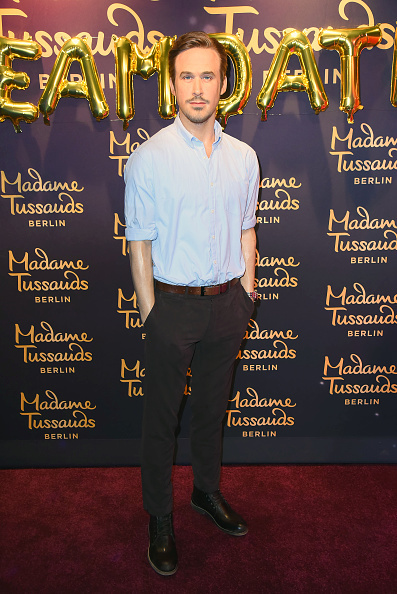 We imagine a great deal of work goes into making a wax figure. Many, many hours of research into making the mold. Into placing each individual hair. Choosing the wardrobe. 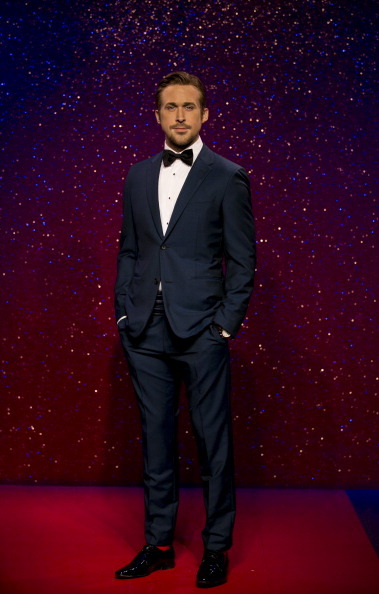 The Madam Tussaud’s London wax figure of Gosling, unveiled in 2014, looked just like him. 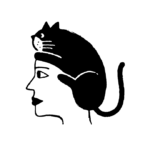 We cannot imagine what might have happened with Berlin. Did they lose the specs from the first Gosling figure? 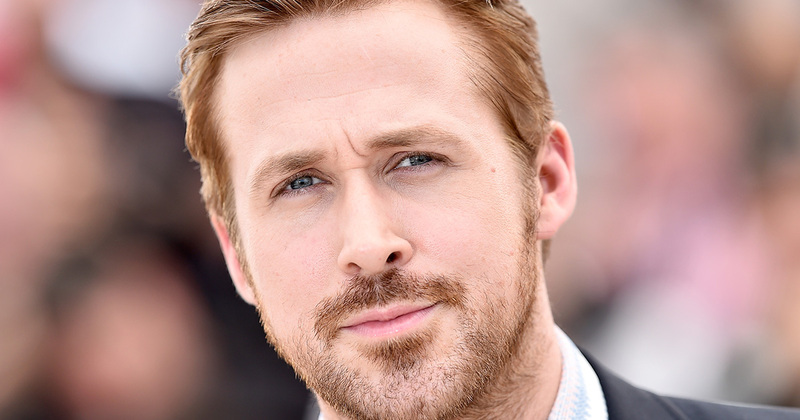 All evidence of Ryan Gosling’s well-balanced face? 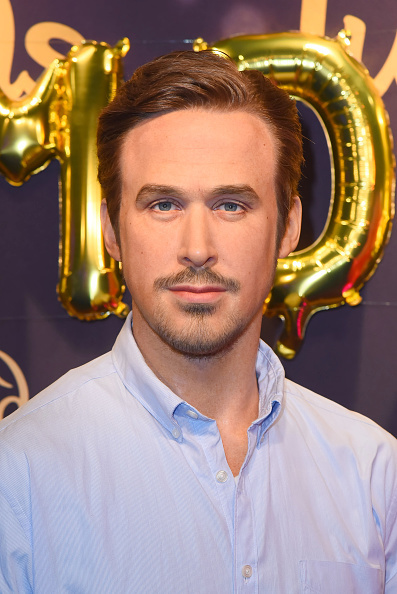 Or, did their workshop get broken into, the night before the reveal, and some jokesters played a terrible prank, replacing their perfect Gosling head with some vaguely-resembling impersonator’s head? 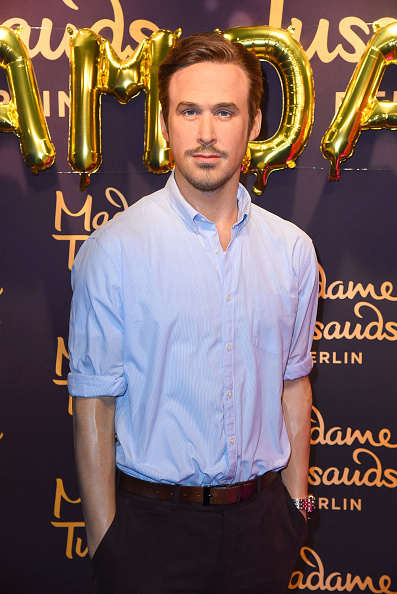 Regardless, if we paid good money to see a Gosling wax figure, we’d want it too look like him. Or, maybe we ought to just be satisfied with Gosling the actual human looking the way he does.